The Penny Farthing Hotel, Lyndhurst is ideally situated just off the High Street in Lyndhurst village centre in the New Forest National Park. Privately owned and run we strive to offer a consistent unobtrusive personal service to all guests meeting individual needs as they occur. 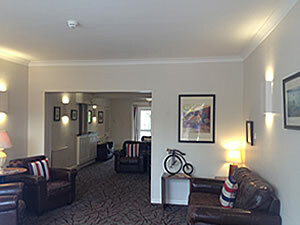 We have 19 en-suite bedrooms and some self-catering accommodation within the main Hotel building. 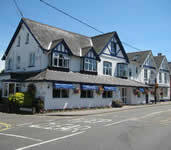 Lyndhurst is the "capital" of the New Forest and is home to a variety of shops, restaurants, banks, pubs, as well as the main Visitors Centre and New Museum. With Southampton, Fawley and Marchwood 15/20 minutes to the East, Bournemouth and Christchurch 30 minutes West and Winchester and Salisbury 30 minutes’ drive our New Forest location couldn’t be better! Back bacon, local sausages, egg, New Forest mushrooms, tomatoes, baked beans and hash browns. Served with white or granary bread. Two vegetarian sausages, egg, tomato, New Forest mushrooms, baked beans and hash browns.